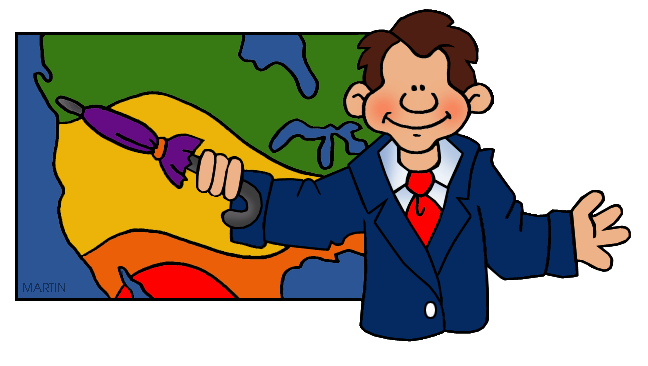 Return to the previous page of Weather Clip Art or go on to Biology and Botony, Biome Survival, Chemistry, Environment, Geology, General Science, Human Body, Physics, Seasons , Space and the Clip Art Home Page. I've lived in the tropics of Africa and Asia where there are two seasons: wet & hot and dry & hot. So, now that I live where there is a change of seasons, I enjoy the colors and temperature changes more than ever before. However, I must say that winter cold and snow remain my least favorite of all seasons. And, as I worked on this page, it snowed today. Bah! Humbug!